Pond release new song, ‘Burnt Out Star’. Pond have returned with a brand new track called ‘Burnt Out Star’, an epic eight minute song which follows up their last album ‘The Weather’ from last year. P.S. Read our latest interview with Pond here. MusicPond release 'Sweep Me Off My Feet' music video + announce new album 'The Weather'. MusicInterview: Pond on their new album, 'The Weather'. 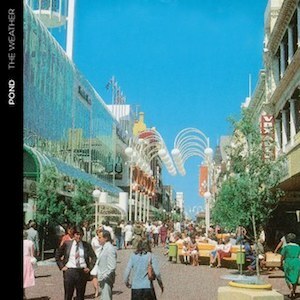 MusicListen: Pond's new song 'The Weather'. MusicListen: Pond’s new song, 'Sweep Me Off My Feet'. MusicInterview: Pond on 'The Weather', Laneway Festival, and their solo projects. MusicInterview: Pond’s Jay Watson on their new album, 'Tasmania'.